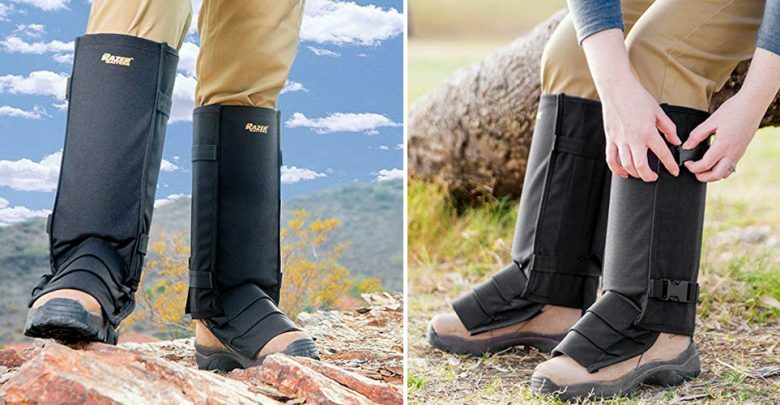 If you spend a lot of time outdoors, especially in snake-infested areas, investing in the best snake proof gaiters should be a priority. Snakes like to hang out in long grass, under rocks and bushes; that is why they will strike without you even noticing. 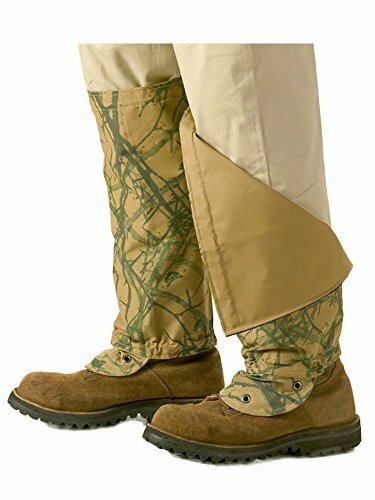 The snake proof gaiters are designed to cover the lower legs completely to protect you when these vicious creatures attack in silent. 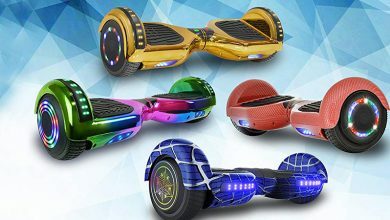 They are tear-resistant and durable to ensure the snake bite won’t rip them off let alone getting to your legs. There is a lot of information about snake proof gaiters that finding the right information that will lead you to the best gaiters can be difficult. Luckily, we have compiled the top 10 best snake proof gaiters in 2019 to help you narrow down your search to one suitable product. Protect yourself when working in a snake-infested land using the U.S. Solid Snake Gaiters. The gaiters are made from a tightly woven fabric, which a snake’s teeth cannot pierce through. Hence, you can rely on them to protect you from snakebites. The top of the gaiters measures 16 inches in circumference with an adjustable strap to give you a tight fit. The bottom has a circumference of 20 inches, making it wide enough to fit over boots. Also, they have an overall height of 16.5 inches to fit well over most adults’ calves. These gaiters are equipped with a zip closure system that makes for easy on and off. They come in a nice camouflage color that will blend seamlessly with the brush and forest. The gaiters are lightweight and comfortable to allow for easy mobility. Furthermore, they are large enough to fit well over a pair of jeans. Available in several sizes, the Crack Shot Snake Guardz offers you several options for you to find the ideal fit. 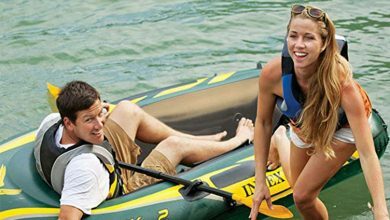 The sizing is true and fits well with the adjustable straps, which you can loosen or tighten as desired. The gaiter is crafted using a combination of materials including cotton, nylon, and polyester. And it is complete with a water-repellant coating, making it waterproof for optimal performance. The gaiter has a special design that allows for airflow between the leg of the wearer and the Snake Guardz for maximum breathability. It is ultra-light to allow you to move quickly and effortlessly while hunting or hiking. 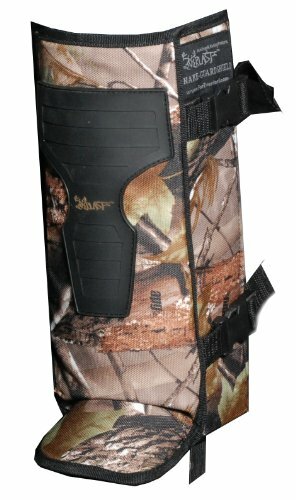 The gaiter is comforting and durably made to protect the lower leg from snakebites, thorns, cactus, and needles. Moreover, it comes in khaki tan and mossy oak colors that both camouflage well in the forest. Whether you are a forest ranger, fisherman, treasure hunter or hiker, the Razer gaiters should be your go-to product. They are designed with 13 individual polycarbonate panels covered in 1000D nylon Cordura that wrap smoothly around the legs to protect against snake fangs, cactus, and thorns. Each gaiter measures 13 ounces, meaning they are lightweight to enable you to move easily and quickly through the bushes. The gaiters boast sewn in edges to ensure a smooth look that won’t fray. Plus they come in a universal size that will fit both men and women nicely. There is a strap and buckle system that allows you to adjust the size for a comfortable fit. The gaiters come in three various colors to enable you to choose depending on your taste and preferences. In addition, they come with a free nylon bag with locking drawstring cinch cord for simple storage and portability when not in use. Shield your lower legs against snakes strikes and briar thorns with the Foreverlast Snake Guard Shields. 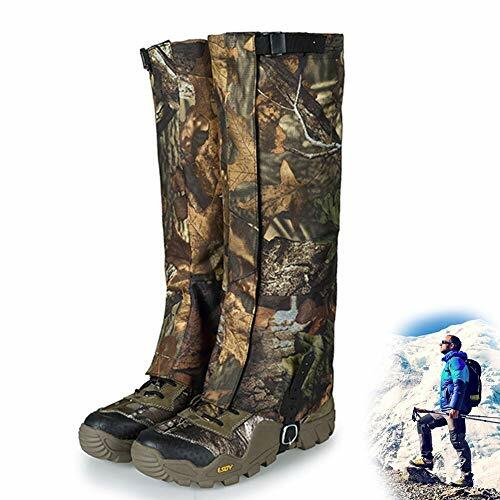 The gaiters are equipped with a tough Cordura-like upper, making them the ultimate protection ware for hunting in areas with aggressive poisonous snakes. They have thin metal plates in them to ensure maximum protection when walking through tall grass and leaves. The gaiters are well-sized and can fit well over rubber boots and jeans to keep you very protected. And the best part is that these units can be adjusted to achieve the desired fit and comfort. They are lightweight, so you can walk well in the forest without feeling too much weight over your lower legs. 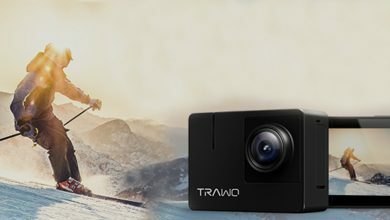 The build quality is exceptionally durable at an affordable price to give you long-lasting performance for several years to come. If you want snake proof gaiters for your kids, consider the Youth Snake Chapz Full Protection. The gaiters cover the ankle all the way up to the thighs to offer 100% protection from rattlesnake’s bites and other poisonous vipers in the woods. As such, these gaiters are ideal for hiking, camping or playing in the desert. They are designed with a comfortable knee movement to enable your kid to move comfortably. The gaiters come in 8 different sizes to enable you to find the best fit for your child. The quality of the gaiters is decent and can last several years of use before you can think of a replacement. The gaiters are available at different prices to meet different needs and budgets. Also, they come with an easy to use zip closure system to allow for easy wearing and taking off. Don’t take a chance while in the desert or woods; protect yourself from any possible snake bites using the TurtleSkin Snake Gaiters. These gaiters are crafted from a tight patented weave of high-strength fibers and polyester. Thus, they are sturdy and strong enough to give you full protection against toxic venom and tissue damage. 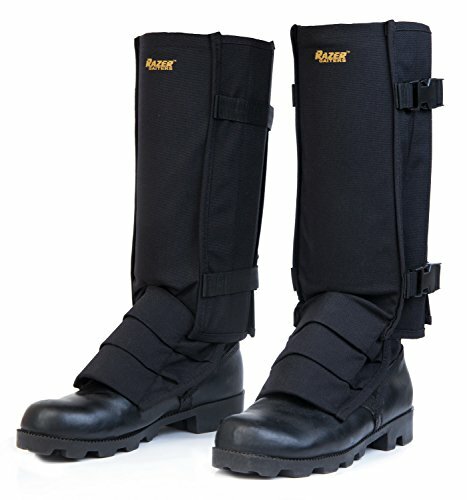 The gaiters come equipped with a 20-inch top calf and 17-inch ankles to fit most calves easily. They are adjustable both at the top and bottom to enable you to achieve a customizable fit. These gaiters weigh less than 6 ounces each, making them lightweight to allow for easy mobility. They have a reversible khaki/camo design to enable you to wear them from either of the sides. At the same time, there are different color combinations you can choose from depending on your preferences. Plus, the gaiters are foldable to fit in a storage bag for easy transportation. The Unigear Leg Gaiters are made of 600D oxford fabric and 300D polyester to ensure a proper tear, water, and puncture resistance. 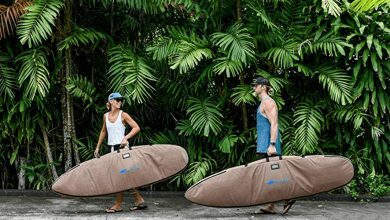 Therefore, you can rely on them to offer full protection against snakebites, insects, and prevent water from entering into your pants or shoes. 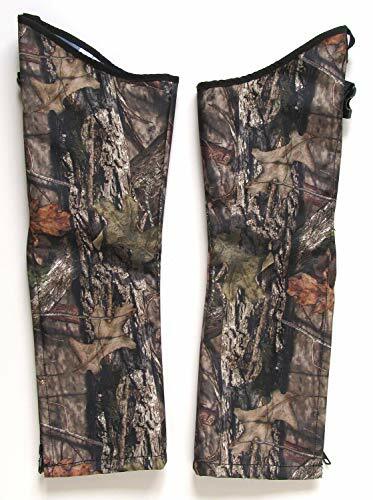 These gaiters have a wide application to enable you to use them for hiking, running, and hunting, among others. They are equipped with a durable TPU belt to allow them to be used over a long period of time. The gaiters come in 4 sizes and 3 colors for you to pick from depending on your needs. Each pair is equipped with adjustable top buckle and TPU footband on the bottom to fit properly on different sizes of boots. 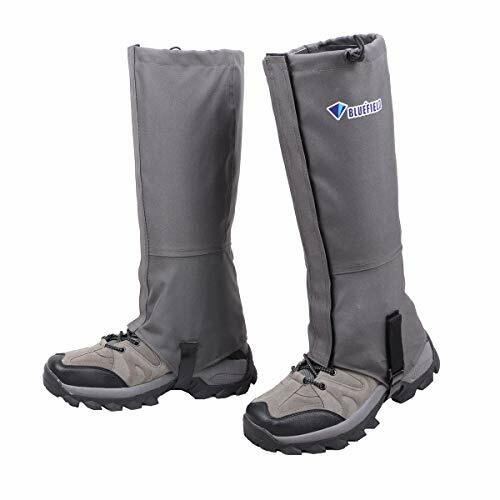 Furthermore, the gaiters are easy to put on and to take off; thanks to the wide front opening Velcro, which is convenient to use. 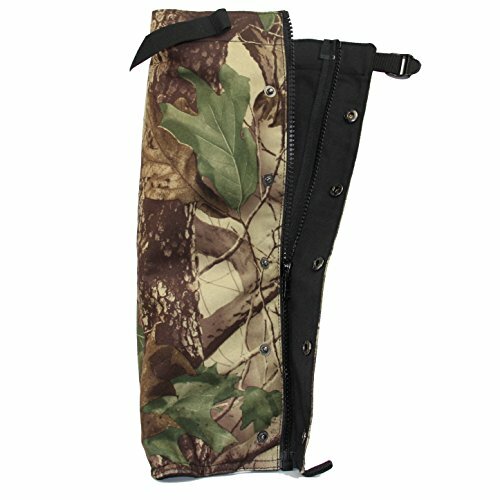 Made of waterproof nylon compound fabric, the Hunting Leg Gaiters have excellent tear-resistance and durability. Hence, they are ideal for trekking, snow hiking, camping, snowboarding, and hiking, among others. These gaiters are designed with heat insulation to keep you dry and comfortable when working in wet climatic conditions. They are lightweight for easy mobility and portability when not in use. The sizing is large and adjustable to allow you to customize and achieve the perfect fit. For this reason, the gaiters fit well over different kinds of boots including hiking boots, ski boots, and snowshoes. The gaiters come with metal hook buttons that make them cling to shoes for full protection against insects, thorns, and cactus. This pair of gaiters is available in 3 different colors to choose from. Besides, they are easy to wear and to remove for added convenience. Featuring 600D Oxford cloth construction, the Azarxis Hiking Gaiters are tear-resistant for extra strength and durability. They offer full snakebite protection for backpack campers, surveyors, fishermen, ranchers, and landscapers, among others. The gaiters are available in small, medium, and large sizes to fit men, women, and kids alike. They are equipped with adjustable band and drawstring cord on top for easy on and off. The drawstring and buckle system enables you to tighten and loosen the gaiters according to individual requirements. The gaiters are lightweight to allow you to move quickly and effortlessly. They have waterproof treatment to keep your legs dry and warm in wet weather. 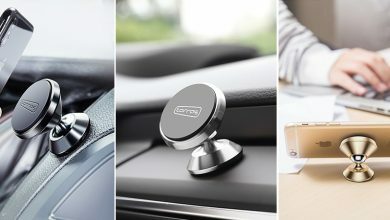 They come in two colors (black and dark grey) to allow you to choose according to your taste and preferences. What’s more, the gaiters are affordably priced so you won’t break the bank just to have them. The TurtleSkin Snake Gaiters seem heavy at first sight but they are actually very light and easy to move in. They have a regular dimension of a 20-inch top calf, 17-inch ankle, and 16-inch length to fit men and women of various calves sizes. 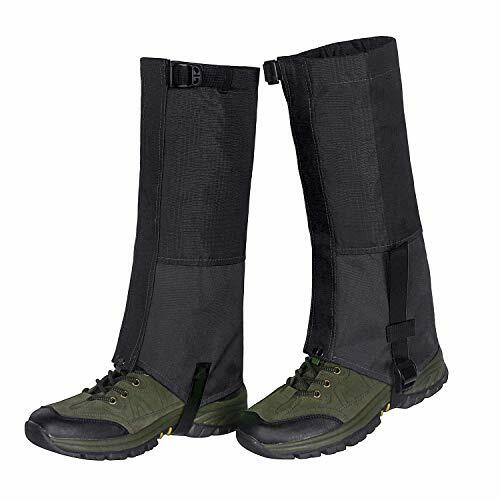 These gaiters fit snug and are equipped with a drawstring to enable you to tie them into your boots. The drawstrings are adjustable to help you achieve an overall comfortable fit. The quality of these gaiters is excellent and they are very simple to use for added convenience. These gaiters are very expensive; however, they are worth every single penny, giving you great value for money. In addition, they come in a nice sage color that will camouflage nicely in the woods for better protection. Weight matters a lot when you are purchasing snake proof gaiters since it is going to determine how you will feel in them. Therefore, consider snake proof gaiters that are light to enable you to move freely when you are using the gaiters. Heavy gaiters will pull your trousers down; thereby, causing all sorts of inconveniences. Also, they will get you tired really fast. A snake’s bite is strong and dangerous. Thus, you need gaiters that are equally strong to withstand the bite. For this reason, consider gaiters made of tear-resistant materials. This is because they are strong and sturdy to endure snakebites without ripping off or putting you in danger. Like any other clothing, gaiters should be comfortable to wear. There are several ways to ensure that your gaiters are comfortable. However, start by how they fit and their flexibility. You can also go for gaiters with adjustable drawstrings to help you loosen or tighten them for better fit and comfort. How much coverage do gaiters offer? The coverage offered by gaiters varies in the sense that some cover only a portion of the calf while others will extend from the top of the shoes to the knees. However, the gaiters included in this list cover the entire foot and calf. 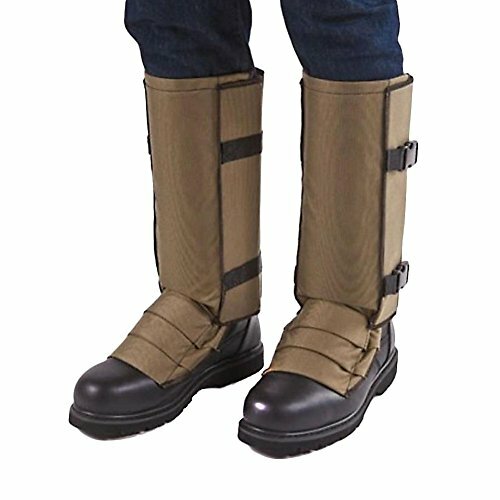 Are there any risks in wearing snake gaiters? The gaiters are very safe and pose no threat to the wearer. It is advisable not to be too confident to think that you’re invincible in the gaiters. Therefore, basic safety precautions must be taken into considerations when around local serpents. Are there gaiters for kids? Yes. There are gaiters for everyone including men, women and even kids. The sizing may vary from those of adults to those of kids. Yet, the protection offered by kids’ gaiters is the same by those offered by adult gaiters. The best snake proof gaiters will go a long way to helping you stay protected when hiking, hunting, or camping in snake dense areas. In these reviews, we have included snake gaiters that are sturdy, comfortable, and easy to put on and to remove. All you have to do is pay key attention to the highlighted features in order to arrive at the best one.